BE Aware of fake PLUS SIZE WEDDING DRESS DESIGNERS online! Your wedding day is one of the most important days of your life…your wedding dress is THE most important gown you will EVER wear. In today’s world of online shopping, there are a few facts you need to know before purchasing any plus size wedding dress designers online. 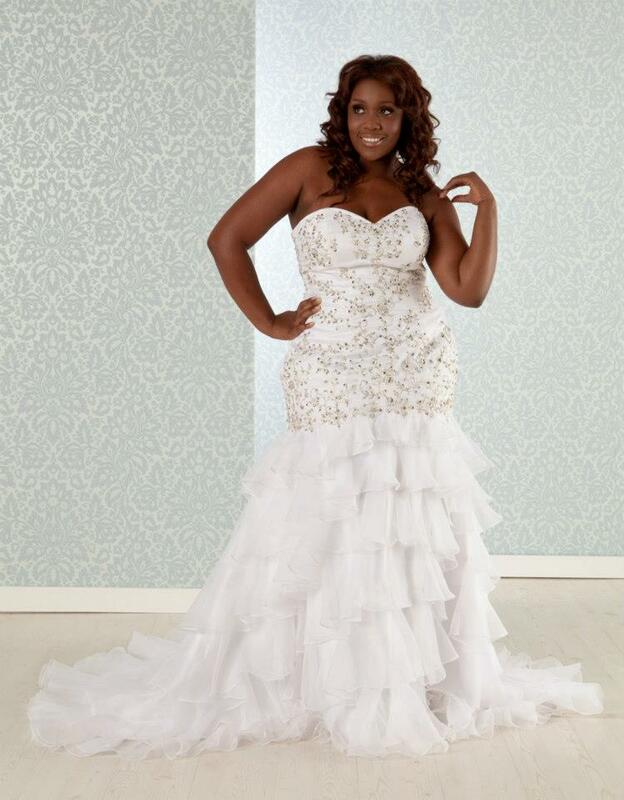 WHO ARE THE MAJOR PLUS SIZE WEDDING DRESS DESIGNERS? The only major plus size wedding dress designers that sell online is David’s Bridal, no exceptions. All of the big designers: Maggie Sottero, Vera Wang, Justin Alexander, Alfred Angelo, ect EXCLUSIVELY sell in retailer stores. Retailers will lose their licensing agreement IF they advertise prices online. Major plus size wedding dress designers all want to maintain price integrity and avoid market cannibalization, so NO designer will ever advertise their gowns online for purchase. Instead they will advise the location of the retail store, and typically cannot give prices over the phone either. There are many knockoff sites out there BEWARE! If you see a plus size wedding dress designers gowns’ online at 80% off, use your head, when something sounds too good to be true, it is. You can find MANY full figured wedding dresses for $200 online, but the quality will be very poor. Remember, the key is no MAJOR plus size wedding dress designers advertise prices online. The exception to the rule is exclusive e-commerce sites like www.realsizebride.com or similar independent designers that cater to niche markets on a smaller scale. This will change in the coming years as everything is streamlined online and more businesses understand the advantages of having an e-commerce presence. Back to the $200 wedding dress…if it’s advertised as cheap, that’s because it is! Nothing wrong with being a bride on a budget just be aware the wedding dress you are purchasing will not look as nice as the picture. In fact, the pictures on many knockoff sites are the exact same ones pulled off the designer wedding dress site! This confuses brides, because you THINK you are getting a $2,000 designer wedding dress for $200 when in actuality, you are getting a low quality, imitation product. Before purchasing any plus size wedding dress designers online, familiarize yourself with the different types of fabrics. Lace sounds fancy…but have you FELT the difference between Chantilly lace, and cheap lace? Go try gowns on at a store, or at least touch them and ask questions. When you see a wedding dress you LOVE, find out what material it’s made of. Wedding dresses that cost $10,000 aren’t just expensive because of the designer label, rather there is a significant quality grade used verses a $4000 dress or even a $1000 wedding dress. It’s smart to have a budget, especially since the dress will only be worn once. You don’t need to break the bank to look fabulous in your wedding dress, but you do need to use caution when purchasing online. Remember the average cost of a wedding gown is roughly $1500. Use this as a benchmark. It’s always ok to go higher or lower, this is a good representation on QUALITY.